The growing prevalence of sensor-based Internet of Things (IoT) technology is bringing enhanced connectivity to urban landscapes worldwide. Street lights often play a key role as the catalyst for this process as they are already connected to a power source and their shape/height enables them to perform the role of an antennae for the sensor network. Other sensors can then piggy-back on the network, connecting with each lamp to send data using low-power communications. This is effectively what enables a smart city network to be developed without the authorities needing to install a new array of powered sensors across the city. 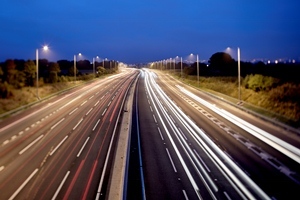 The benefits extend far beyond street lights themselves. Enhanced connectivity can also be key in improving drainage systems; ensuring bridges are safe and looking after green spaces for example, says Manish Jethwa, chief technology officer, Yotta. All these processes rely on sensor technology sending out data for analysis. That makes it critical to implement a technology architecture capable of handling mass data flows – and helping collate, order and visualise data such as pollution statistics, details of road surface conditions or drain levels. But how exactly does this architecture work? On the sensor side, the city authorities generally use specific APIs as the providers will typically be building data models that are specific to the sensor data. On the application side, the API should be more flexible to effectively bring lots of data sources together into a single system. 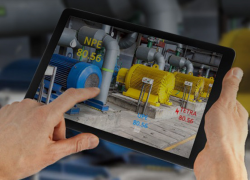 If the application interface is too rigid, new API endpoints will need to be developed to get each new type of data into the system, adding cost to the process of integrating new sensors into a central data hub. There will, however, always need to be some transformation of the data from device-specific APIs into delivery application ones. Moreover, this transformation needs to be carried out at scale and on demand and that is where a microservices approach, in which large applications are developed from modular components or services, comes in. One key role of microservices is as a data filter. Microservices can help filter inconsequential data collected by sensors and then transmit significant data to the right places, which allows data analysis to happen at a more general level. For example, the authorities may have implemented multiple sensors to measure temperature variations across the city. Microservices can provide a valuable service here by reducing multiple measurements into key notifications of predefined threshold being exceeded. One of the big advantages of microservices is that they can be quickly scaled up, when multiple sensors all decide to send data at the same time, for example, but they are relatively inexpensive because they typically run for only a few seconds at a time and users only pay for the time they are in use. Once the microservices have completed their work, the data is passed through smart city application APIs for processing. At this point, the application needs to have a strong visual interface that helps the authorities understand and make sense of the data that has been collected. That’s where the visual element of the interface is so important. Dashboards need to be in place. Strong iconography and colours can be used to differentiate data items or link similar items for example. To drive user engagement, usability elements can be built into the interface, further encouraging users to interact and engage with it, establishing patterns, analysing the results of data enquiries and driving new insights. Insights alone are, however, of little value in building the smart city unless they result in concrete actions. That means rules need to be put in place that trigger immediate actions, such as a service engineer call if a street light fails, or a maintenance visit being arranged if a drainage gulley is overflowing. This workflow element is vital to the success of any connected asset management approach within the smart city – and it must never be neglected if the analysis carried out by the system is to result in tangible operational efficiency, environmental and safety benefits across the city. The potential for smart cities is clear. 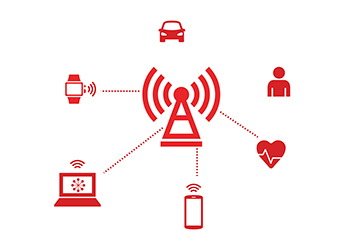 Internet of Things technology is helping to drive enhanced connectivity between assets. The authorities are using a technological architecture, consisting of microservices, APIs and visual interfaces to make use of this connectivity to collate, order and visualise key data. By analysing patterns and trends in this data they can thereby achieve insight into a range of issues affecting the smart city and take steps to make them safer, more productive and better places to live.